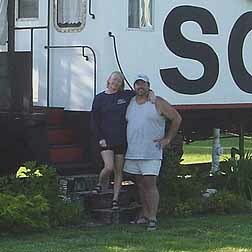 Stay aboard a 1968 SOO-Line Caboose! 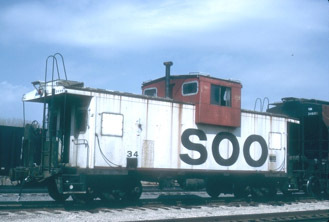 SOO-Line Caboose #34 pictured in Kansas City, MO on March 19th, 1994 (left picture) perhaps on one of it's last runs! 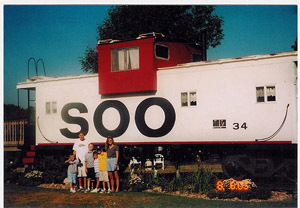 Now you and your family can stay in and experience SOO Caboose #34! 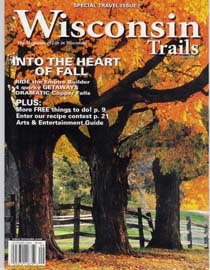 Featured in Wisconsin Trails Magazine, Fall 2004! 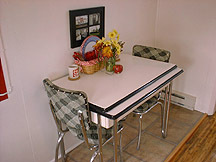 Renovated to retain it's historical integrity with all the comforts of home! CabooseCabins is Not Just a Place to Stay, It's an Experience! 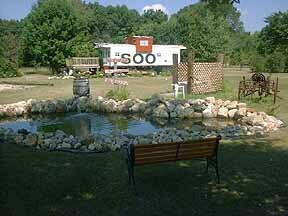 >Enjoy the nearby Pond, Artesian Well, La Crosse River,nbsp; Mowed Hiking Trails, Horseshoe Pit Fire Pit! 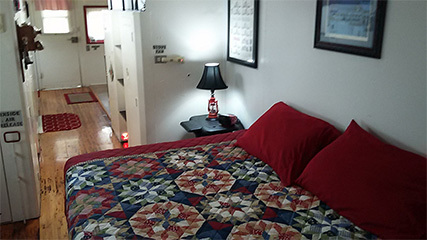 >Sleeps up to 3 adults or 2 adults and 3 children. Plenty of room to pitch a tent. Inquire about camping for groups. An Educational Experience for Children and Adults! 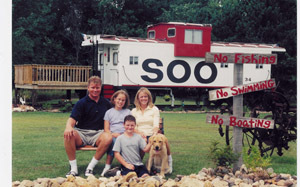 "It all started with an idea to turn a caboose into a cabin near the Sparta bike trails. 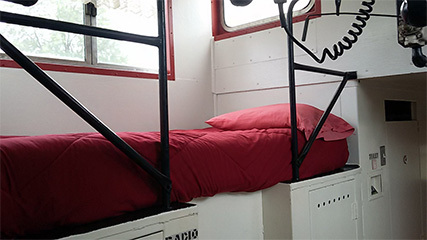 Most of the other renovated cabooses that I'd seen looked more like a motel room than a caboose on the inside. 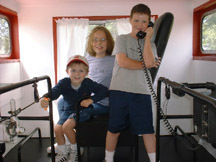 We wanted to keep the interior and exterior of the caboose looking like it did when it was in service so people could see what a working caboose looked like. Of course we added all the comforts of home! The renovations are complete and we invite you and your family to enjoy a stay in one of the most unique places you will ever experience!"